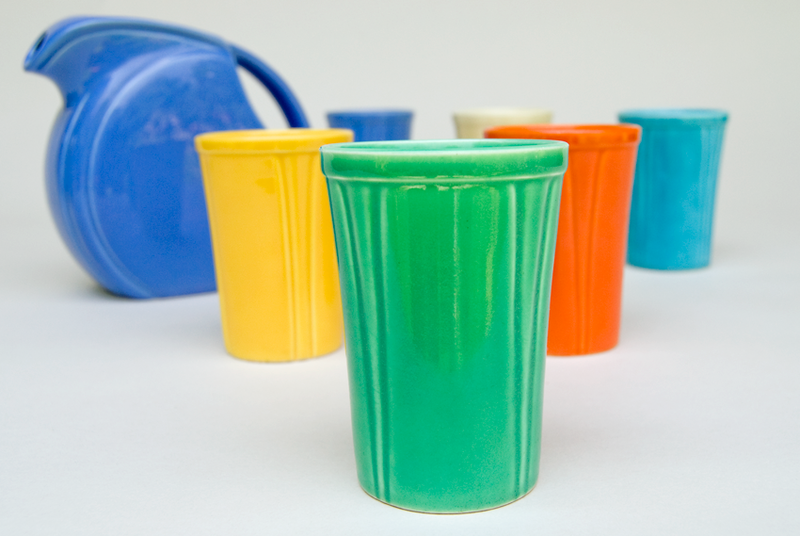 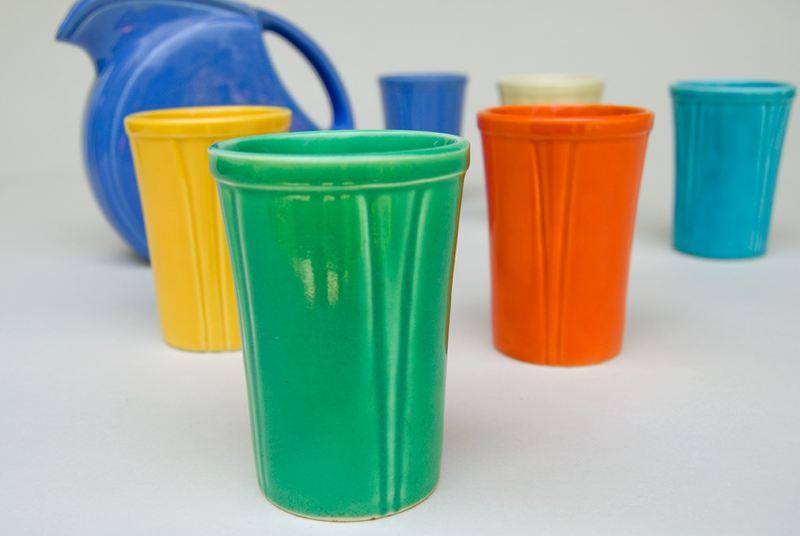 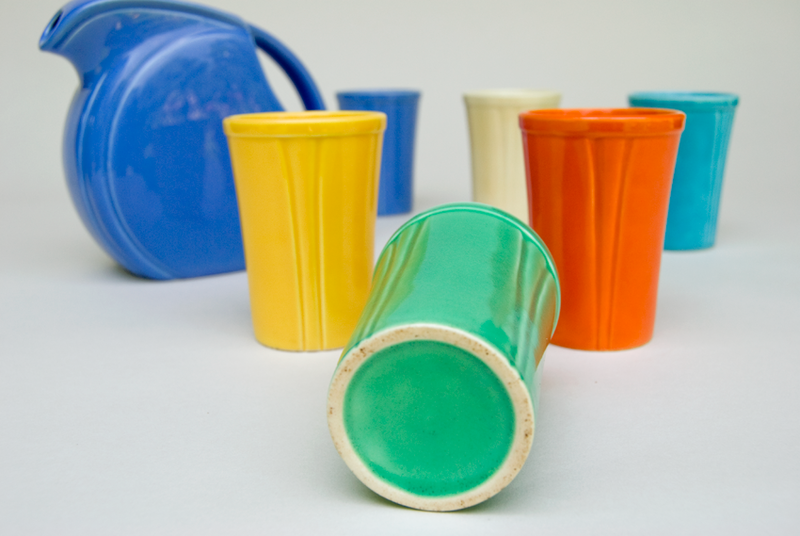 Circa 1936-1944: The Riviera pottery line is basically a few of the century pottery shapes borrowed from that original line and dipped in the solid colored glazes that were all the rage coming from the highly successful Vintage Fiesta pottery line. 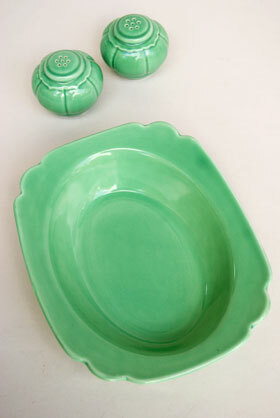 Collectors of solid color pottery, especially the riviera line, will rejoice at adding these larger pieces to their collection. 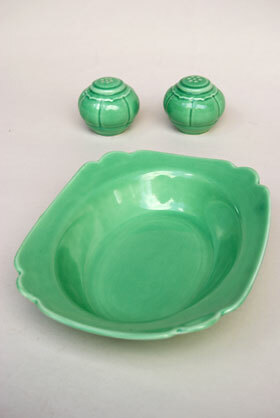 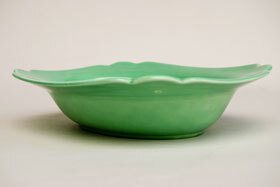 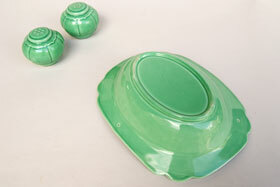 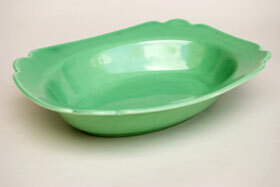 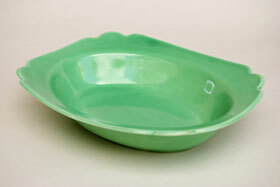 This example of the oval baker in the original green glaze is in excellent condition without damage, no chips, no touchups, no cracks, no bad manufacturing issues to report.